Earlier this month the United Nations Human Rights Council passed a resolution calling for the urgent investigation of alleged violations and abuses of international law in Iraq. The resolution was made at the 22nd special session on Iraq, where international humanitarian network ACT Alliance – of which PWS&D is a member – presented. Their statement to the UN Human Rights Council condemned the spiraling violence in Iraq, saying the gross violation of human rights could amount to war crimes and crimes against humanity. Despite this positive resolution, the dire humanitarian and human rights situation in Iraq continues to escalate. Since the beginning of the year, 1.2 million Iraqis have been displaced. Religious and ethnic minority groups, women and children, are being subjected to indescribable suffering. PWS&D is working with ACT Alliance to provide immediate assistance to families fleeing violence and persecution. Their stories are harrowing. Many of those who fled the advance of Islamic State fighters left their homes with nothing but the clothes they wore, their passports and a little cash. 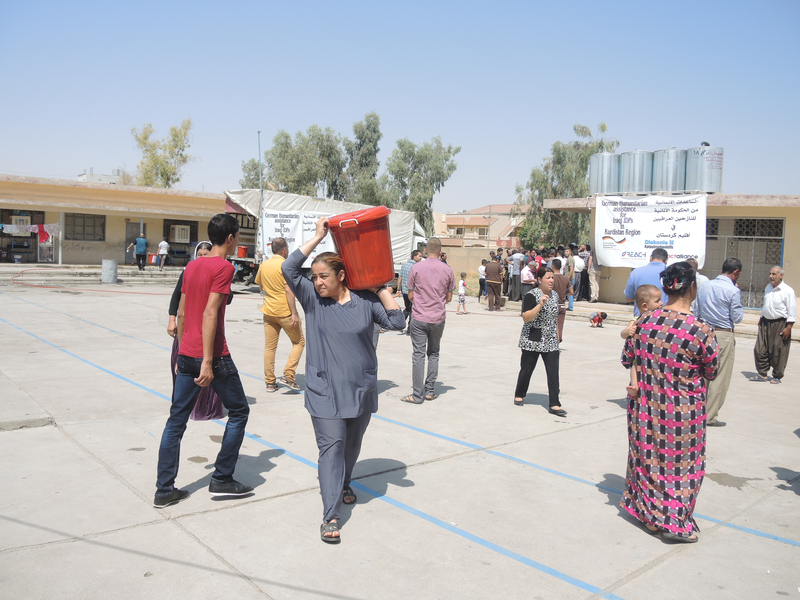 Some 300 people are now sheltering in a school building in the Kurdish city of Erbil where they are receiving relief packages of water, sugar, tea, salt, flour, lentils, hygiene kits, pots and kettles. Most importantly, they finally feel safe. Amer Abdullah and his family have also sought safety in the school. When he heard about the atrocities in Mosul, he feared for their lives. They first moved on foot and then rented a car with the little cash he managed to take with him. He too feels safe at the school, but worries about starting their lives from scratch. The relief supplies are helping ease his discomfort. Learn more about PWS&D’s response in Iraq. Join us in responding to the terrifying human suffering caused by violent conflict. Your gifts will help us provide clean water, food, health care and emotional support to men, women and children displaced by conflict.